If you're a Bruce Springsteen fan -- and I am -- there's a great post on Backstreets.com about photographer Eric Meola's road trip across the Great Basin in 1977 to photograph Springsteen for the "Darkness on the Edge of Town" album. Many of those photos have never been seen. The awesome one at right wasn't used until 2010 when Springsteen released "The Promise," the great double album of songs that didn't make the cut for "Darkness." 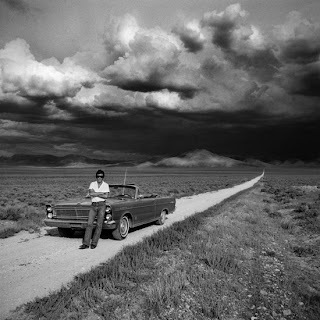 The storm in the photograph inspired a key verse in "The Promised Land" but is an achievement of its own -- the road vanishing in the distance, the boiling clouds, the sun on the hills in the distance and Springsteen leaning against one of the kind of cars he so often put his characters in. Eric Meola: I bow before you, sir! The composition of the photo is pretty much perfect. Meola's new book "Streets of Fire" can be purchased online. Speaking of "The Promised Land," below is a sweet version from 1978 when the song was brand spanking new. 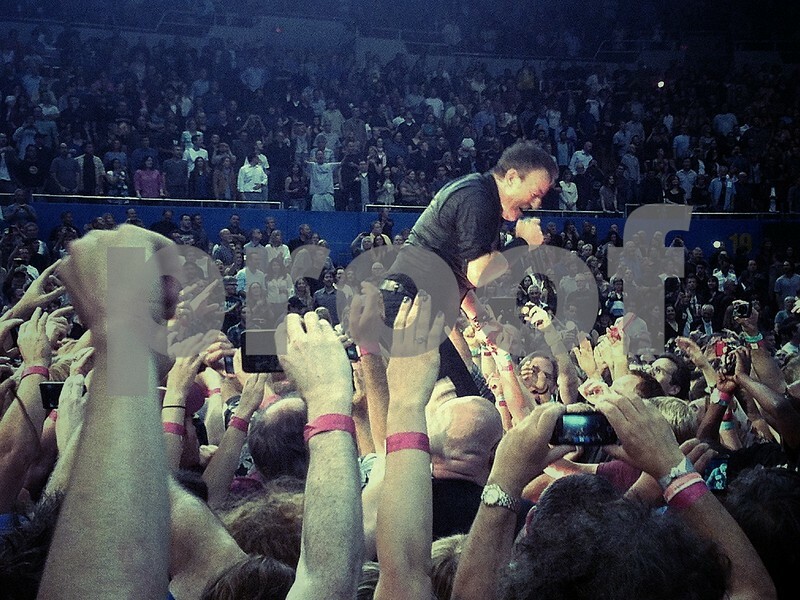 And here is an iPhone pic I took at Bruce's show at the Sports Arena in April during the Apollo Medley.